Mino Raiola held talks with Juventus on Monday but Manchester United do not wish to sell Paul Pogba. Raiola, Pogba’s agent, is understood to have discussed a number of his clients with the Italian champions, who hold an interest in re-signing the midfielder they sold to United for £89million back in 2016. Pogba, who was pictured in Paris with former Juve team-mate Paulo Dybala on Monday night, has fallen out of favour with Jose Mourinho and is considered a divisive figure around the dressing room. The Frenchman has been open to leaving but the Old Trafford club don’t want to sell in January. Pogba’s outlook is also likely to change with Mourinho’s tenure as manager under increasing strain. As he struggles to raise performance levels, Mourinho has been demanding United strengthen in January with defence his priority but he may not remain in charge long enough to see who they bring in. Though he wants experienced centre backs such as Kalidou Koulibaly, Napoli’s £90m-plus price-tag has seen United discuss Galatasaray teenager Ozan Kabak while Porto’s Eder Militao and Nikola Milenkovic of Fiorentina are also among their options. This all comes after a chastening defeat at the hands of rivals Liverpool at the weekend. While many Unitedplayers will have been licking their wounds a day after the loss, Pogba jetted off to Paris. 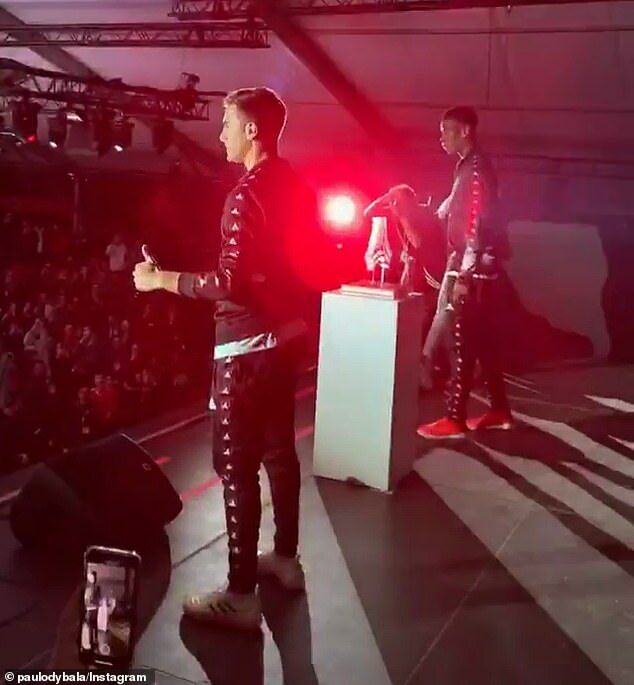 The French midfielder, who was an unused substitute as United were thoroughly outplayed at Anfield, spent Monday at an adidas Tango League event alongside Dybala. 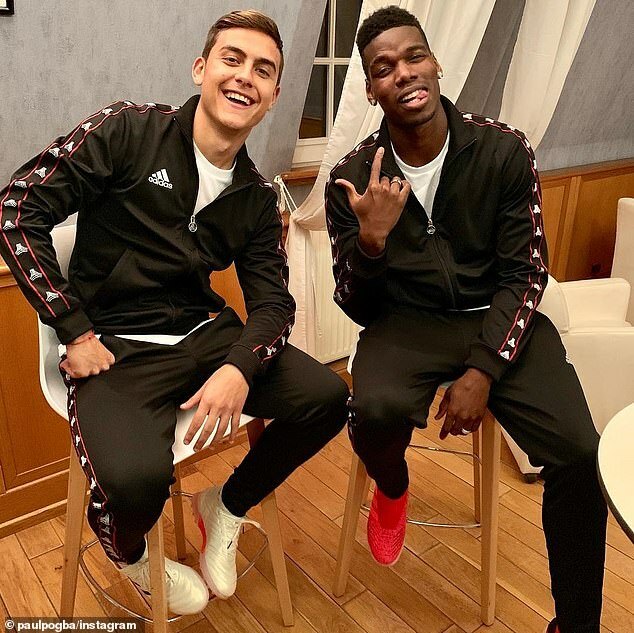 Pogba and Dybala both wore adidas tracksuits, while an image of the Frenchman’s face was superimposed onto the floor of a five-a-side football court. Pogba’s future at Old Trafford, where he has fallen out with manager Mourinho, seems far from certain and he is now wanted by his former club. Barcelona also weighed up a move for the midfielder during the summer window. 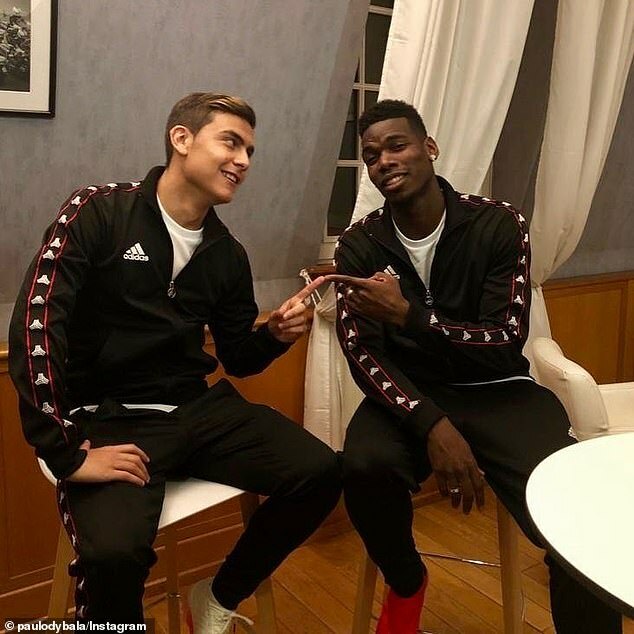 In a host of photos shared via Instagram on Monday, Pogba appeared to be enjoying the company of striker Dybala, with whom he won the Serie A and Coppa Italia double in 2016. Pogba captioned one photo of himself and Dybala with the words: ‘Con mi Hermano’, which translates from Spanish as: ‘With my Brother’. United made Pogba the world’s most expensive footballer when they signed him from Juventus for £89m in 2016, but he has yet to rediscover his top form at club level, despite shining for France in their 2018 World Cup triumph. Pogba was given the captain’s armband by Mourinho earlier this season only to be told by the manager in September that he would never lead the team again. Mourinho’s U-turn came after the Frenchman voiced frustration at United’s tactics – and it was not the last time that the pair have clashed, with an argument on the training field picked up by television cameras soon after. And last month Mourinho is said to have complained about a lack of heart being shown by Pogba during United’s 0-0 draw with Crystal Palace. Following that game, Pogba started four of United’s next six matches on the bench. It seems hard to imagine that both Mourinho and Pogba can remain at Old Trafford long term, but it is unclear who will depart first. Mourinho is the bookies’ favourite to be the next Premier League manager to leave his post.